Ok we have a 3 day challenge. 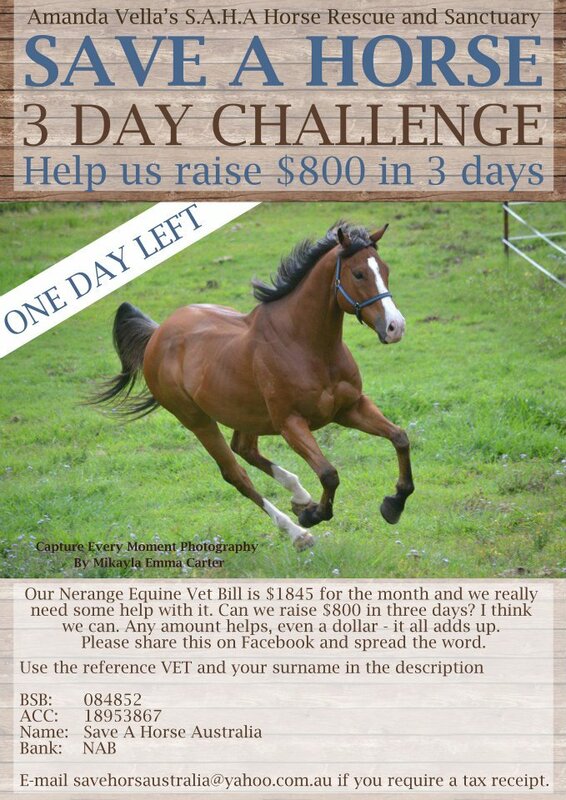 Our Nerang Equine Vet Bill is $1845 for the month and we really need some help with it. 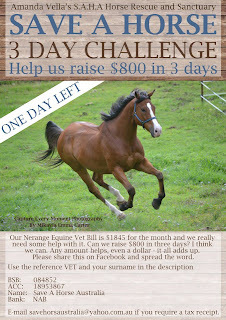 Can we raise $800 in 3 days? I think we can. Please email me if you can donate and how much so that I can keep a tally and please guys even just $1 helps. Use the reference VET and your surname and please email me if you require a tax receipt. Can we raise $800 in 3 days?? I really do think we can do it.